Welcome to the Urbandale Community School District “Flyer Hub” where we post flyers from district, community education, and other organizations within our community. Flyers are organized by age group (elementary, middle school, high school, and adult) within the sections below. Please Note: The UCSD neither endorses nor sponsors the organizations or activities represented in these materials. Flyers are being distributed through the school district as a courtesy to inform families of community activities, opportunities, and services available. 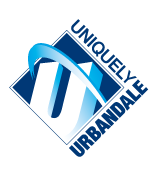 Review the Urbandale-Flyer-Hub-Guidelines-10_2016 for important information about flyer guidelines, flyer submission, and accessibility.